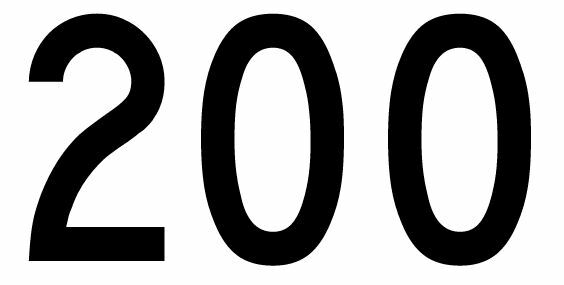 Two hundred posts. I say it and I wonder how I got to this place. I don’t remember the exact day that I registered the domain name for this website. I couldn’t even remember the first thing I reviewed without logging into my control panel (It was the Watchmen movie which got roughly a +1 on the Shaftoe scale). I do remember my first mea culpa moment: after three episodes I wrote off Spartacus Blood and Sand as a pointless piece of historical appropriation. Yet for all the frustration that comes with regularly copy editing my own work as well as the occasional bout of “Is anybody even reading this” anxiety, I still find myself very much in love with what I do here. So what to say on this occasion? The only thing that comes to mind is “Thank You.” If writing this website has taught me anything (and I know I covered this a bit during my last podcast) it’s that nobody gets ahead on their own. There’s simply no way that I would have been able to grow this project were it not for others lending me their time, words, status or celebrity. First and foremost my thanks to Matt Leaver, my Assistant Editor, for his endless support and friendship. For seventeen years Matt has been a willing partner in crime for my various mad schemes, and his help with the Page of Reviews is immeasurable. My thanks also go out to Rollen Lee for the reviews that he has offered up over the last couple of years. Finally I owe no small debt of gratitude to Matt Moore. Matt’s been a podcast guest, a contributor to the website, and recently he let me collaborate with him on a guest editorial in On-Spec Magazine. Everybody, and I do mean everybody, should watch Husbands and Cockpit: The Rule of Engagement. Read Triptych, Carbon, Ascension, A Better Offer, and Orange. And play Space Pirates and Zombies. Everything on that list is full of win. Finally, my thanks go out to everybody who reads the Page of Reviews, provides me with material for review, comments on my posts, and follows me on twitter. A writer without an audience is just a madman with a pen sitting under a single light bulb while he drinks scotch in the shadows. On that note, I’ve got four goals for the next 200 posts. 1 – Interview Nathan Fillion – because he’s awesome. 2 – Interview John Scalzi – because he’s writes like Robert Heinlein sans the kooky libertarian manifesto. 3 – Review a movie after attending a premiere screening in LA. 4 – Save Community – I’m still working out the details therein. And that, ladies and gents, is post #200. Thanks for reading. I can’t believe I wasn’t the first to like this post for once! Thanks so much for the kind words, Adam! You know, they say that a good friend will bail you out of jail, but the best will be sitting next to you saying how awesome things went down. Congratulations on your 200th post! Milestones are important because they are the mortar and brick that make any project great! Keep it up because for some, this is their most trusted news feed for interesting stuff! I know I’ve been on hiatus recently, but school’s out! I got that promotion and have already been working on two pieces to contribute to the next hundred! Can’t wait till the next milestone!